LCC believe in learning by making. As well teaching degree students they share their expertise and facilities through an accessible short course framework. With extensive analogue and digital facilities students take evening and weekend classes in B&W photography, interaction design, bookbinding and all kinds of other things. 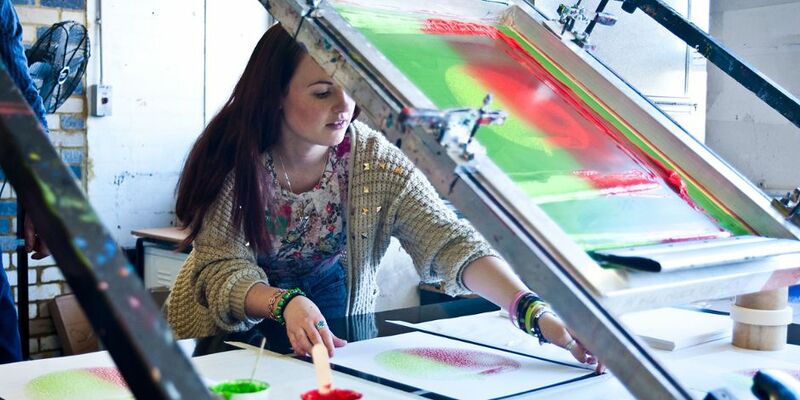 Rachel will be here with some of the screen printing team. Stop by and print yourself a free tote bag.